Dr. Dario Siniscalco is Research Associate for the Department of Experimental Medicine of the Second University of Naples (SUN), Italy. Dr. Dario has graduated in Chemistry from the University of Naples "Federico II" in 2000 and received his Ph.D. in Pharmacological Sciences from SUN in 2004. Dr. Dario completed his neuropathology fellowship at University of Alabama at Birmingham, USA before joining the Second University of Naples staff in 2006. Dr. Dario is registered member of the following scientific societies: Order of the Chemists of Campania, National Council for Chemistry, Stem Cell Research Italy, European Association for Chemical and Molecular Sciences, Italian Pharmacological Society, Cell Death Research Group - University of Alabama at Birmingham, USA. Author or co-author of 36 scientific peer-reviewed papers and 7 book chapters. Presented his work to 91 national and international conferences. 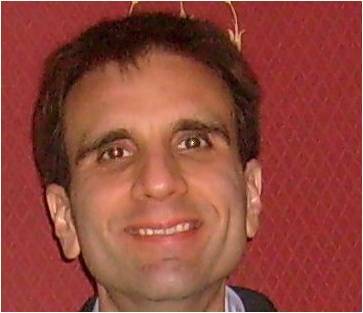 Dr. Dario is serving as an editorial board member of reputed journals and reviewer of more than 15 journals. Dr. Darios's reserach focuses on gene expression and molecular regulation in autism spectrum disorders; use of human mesenchymal stem cells as therapeutic tool in autism. Other research interests: stem cells therapy for the neuronal recovery; studying of neuronal apoptosis. Role of bcl-2 family, caspases, and cell cycle regulator genes.